When you’re planning a vacation, it’s always nice to incorporate some outdoor activities into the itinerary. The whole family will enjoy spending time outside and getting some much needed fresh air. Outdoor activities are a great way to enjoy nature and to take in the amazing mountain views. Here are a few outdoor activities you and your family can enjoy while staying at our Pigeon Forge hotel. Rev up your engines because it’s off to the races. 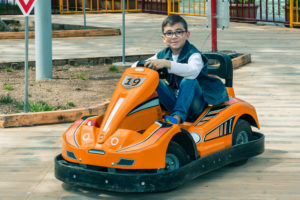 Go karting is an outdoor activity that can be fun for all ages. In Pigeon Forge, there are lots of go kart places to check out. They have go karts that are suitable for even the younger kids. If you are looking for a go kart place that is really close to our Pigeon Forge hotel, try NASCAR Speedpark. They have a large selection of go kart tracks to choose from. So buckle up and get ready to race! Mini-golf is a really cool sport to play because anyone can do it. You don’t have to be a golf pro to have fun. The mini-golf places in Pigeon Forge have themes that the kids will love. From dragons to hillbillies, these themes are quite creative. Mini-golf is a great way to play a sport with the family while surrounded by fantastic views of the mountains. While driving down Pigeon Forge Parkway, you can catch a glimpse of each different mini-golf attraction. Have your family vote on the one that looks the coolest, and get ready to have some fun! Soaring from treetop to treetop is an amazing way to spend your vacation. Ziplining gives you a chance to see nature with breathtaking aerial views. This is a view you won’t be able to get anywhere else. Just strap in and your zipline guides will help you do the rest. The kids will love this unique experience in the mountains. You can choose a beginner zipline or something a little more difficult. Adventure Park Ziplines is only a 10 minute walk from Mountain Melodies. Enjoy a zipline tour at this forested park. It’ll be one of the best experiences you’ve ever had in Pigeon Forge. 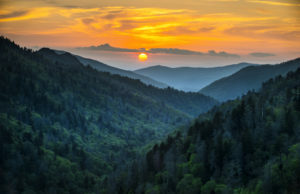 There are a lot of hiking trails to explore at the Great Smoky Mountains National Park. You don’t have to be an expert hiker to get the most out of your hike. Hiking trails vary in difficulty so you can choose the one that seems best for your family. Either way, you’ll get to take a peaceful hike that will help you experience nature up close. The scenery is what makes visitors come back to the park year after year. You can even have a picnic in one of the designated picnic areas in the park. You can enjoy all of these outdoor activities during your stay at Mountain Melodies. 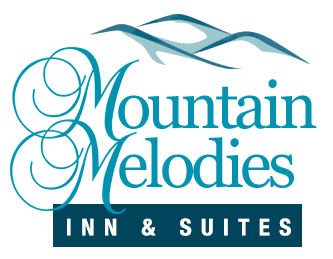 Browse our Pigeon Forge hotel rooms and book your next vacation with us!